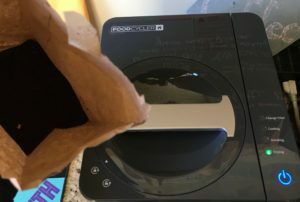 Yes, we’re turning a negative into a positive with our new Food Cycler instant composter. Come in and get some coffee and some composted coffee grounds for your garden! Previous PostNew! Foul-Weather Chairs!Next PostBehold the Scrapple Roll!